Like a check-up at the dentist, your car’s annual MOT test comes round quicker than you expect and can be a painful experience. It can also be more expensive than many drivers anticipate. 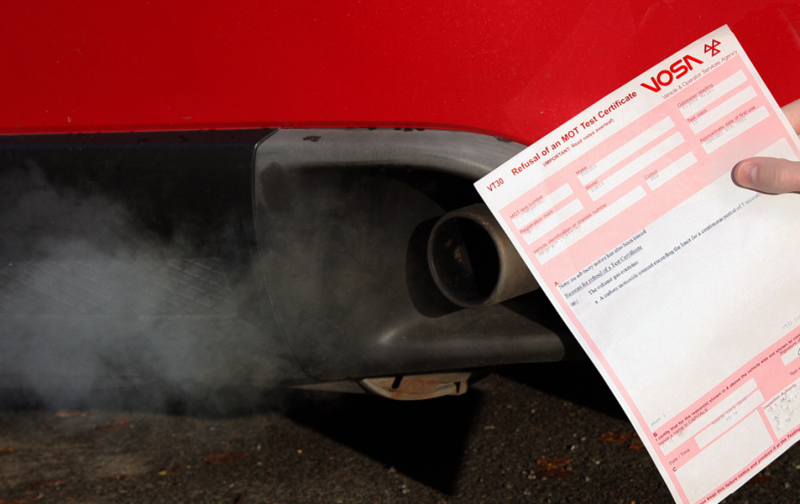 Last year, a staggering 40 per cent of the 26.9m cars that took the annual MOT failed. That’s more than 10 million vehicles. Of those, more than 3.5m were pulled up for having dodgy lights, something that could easily have been checked by owners before the test. Here are the most common reasons for MOT failure (in 2012/2103) and a guide to carrying out your own pre-MOT test to minimise the chances, aggravation and cost of flunking. All exterior bulbs must be working and each lamp’s lens must be free of cracks or damage. Items drivers should check include headlights (both dipped and main beam), front and rear side lights, stop lights, reversing lights, front and rear fog lights and all indicators. Shock absorbers or dampers can’t have any leaks or difference in absorbing pressure. It’s simple to get a rough idea if your car’s shock absorbers are faulty by bouncing each corner of the vehicle. The vehicle should go down under pressure then rise back up to full height before settling down slightly. Excessive bouncing indicates faulty or worn out dampers. Without the correct equipment it’s impossible to check your brakes accurately. However, you can look beneath the bonnet and make sure the fluid level in the reservoir is between the ‘min’ and ‘max’ indicators. For details on where to find it, check your car’s handbook. Cuts, cracks, bulges or splits on any tyre will mean instant MoT failure. Tread depth must be at least 1.6mm and the valve must be seated correctly. Check that each tyre matches the opposite tyre on the same axle for size and construction type. And if the car has a spare tyre, that must be road-legal as well. The entire area swept by the wipers should have no cracks or chips. Any damage outside this area must be no bigger than 10mm in diameter. Wiper blades should be checked too. These should have a uniform wiping edge with no breaks in it. They should not lift away at the tips and must clear the screen correctly. The blade must also be secured firmly to the wiper arm. The exhaust must be secure and free from corrosion. It’s hard to check without professional equipment but rev the engine with the car stationary, parking brake on and doors open. Any rattles or unusual noises could indicate it’s on its way out. Equally, any smoke and your car could fail the emissions part of the test. As with the brakes, it’s difficult to check the steering without specialist equipment. Listen for knocks when turning the steering wheel from full lock to full lock, or excessive whining from the power steering pump, both of which could indicate worn components. There should be no sharp edges to injure pedestrians, bumpers should be secure and you must be able to access the car through all the doors and open them from both inside and outside. The mountings must be secure and the belts should be free from damage as well as engaging and disengaging cleanly. Pull sharply on the belt and the inertia reel should lock. These must be safely secured and clearly visible with characters that are the right size, evenly spaced and in a legal font. Wheels must be the correct size for the car: check in the vehicle’s handbook or risk failing, as the road holding, speedometer and gearing etc. are all designed around a specific sized wheel.